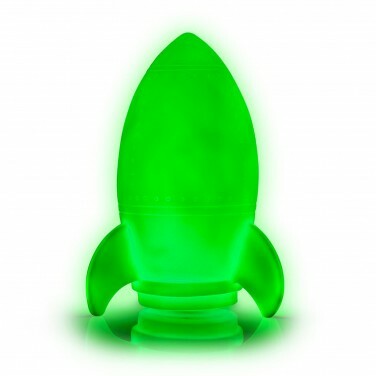 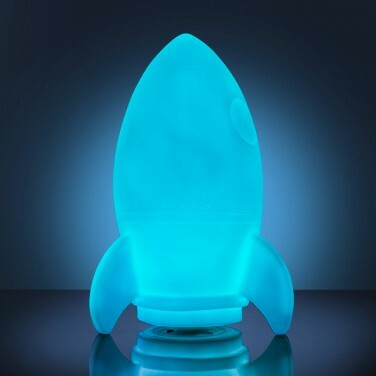 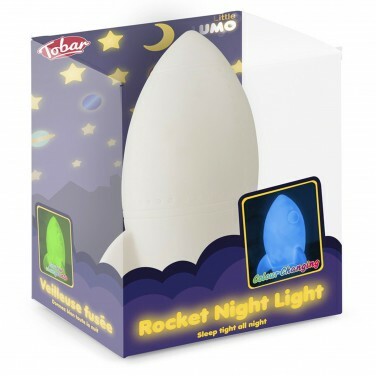 Take your child's bedroom routine to the stars with this sweet rocket night light. 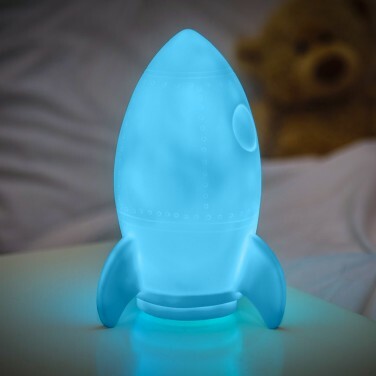 Lit by a colour change LED, the rocket shines through a soothing colour change light show that captures your child's imagination and gives extra reassurance at night. 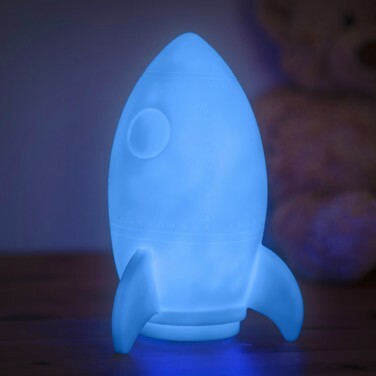 Battery operated, this colour change rocket can be placed anywhere and can even be taken on sleepovers and it remains cool to the touch making it safe for smaller hands.